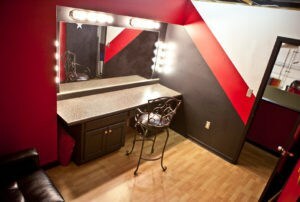 Our photographers love this space! Studio 1 has the ease of an attached wardrobe/make-up room and a seamless background system for multiple different looks and colors. As well as a white cove cyc, this studio also has a black cyc wall that gives the photographer multiple choices of looks and atmospheres. Studio 1 is a closed private studio with installed IPod/CD/AMFM music playback. Studio 1 also comes with a 12ft camera stand, fans, extension cords, a clothing rolling rack, a 6ft table and 4×8 V flags free of charge. 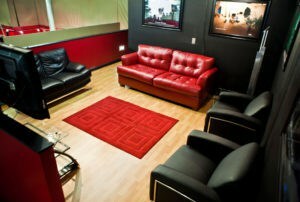 With a Studio 1 rental our clients also have access to a client lounge, full kitchen, conference area, and production office. All studios have climate control. 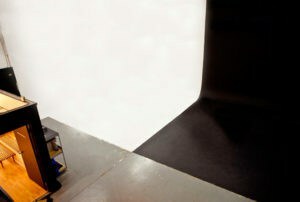 Great for Large Products, Automotive, Set Building and Group Photography! 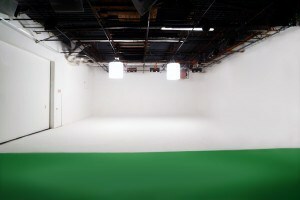 Studio 2 is the largest area of our facility. You can easily drive any type of vehicle right on the cyc wall floor (fits up to two full size cars). With a lighting grid at 15 feet it makes any light easy to hang. Studio 2 is outfitted with pre-hung cyc lights (additional charge) and 360 degree black stage curtains that wrap around the entire stage. 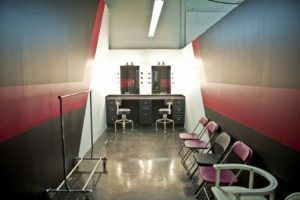 This studio also has an attached wardrobe/make-up room. With a Studio 2 rental our clients have access to 2 lounges, a full kitchen, conference area, 2 6ft tables, 2 8ft tables, fans, extention cords, a clothing rolling rack and IPOD/CD/AMFM music playback free of charge. All studios have climate control. 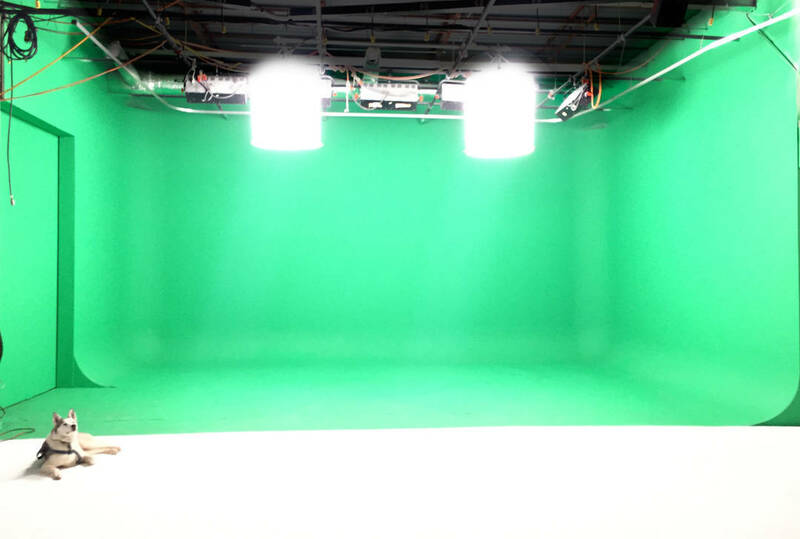 Our permanent green screen is great for green screen photography. 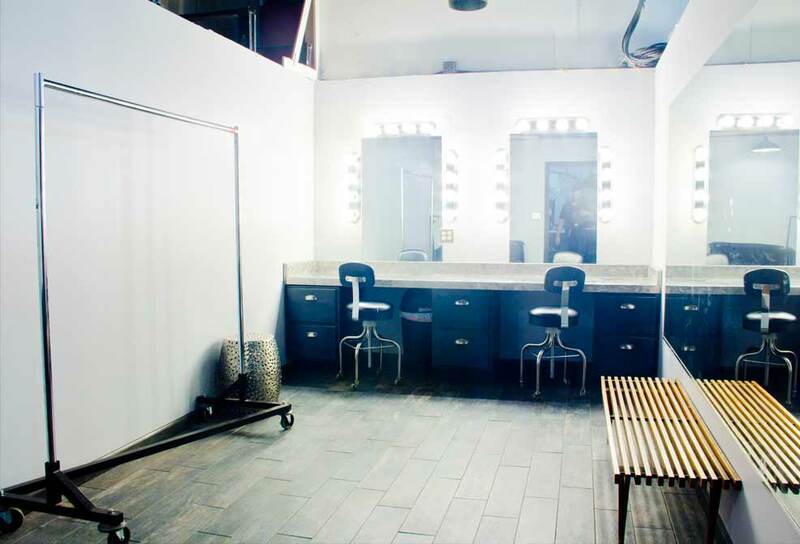 Like studio 2, studio green has vehicle access, a lighting grid at 15 feet with pre-hung cyc lights (additional charge) and an attached wardrobe and make-up room. 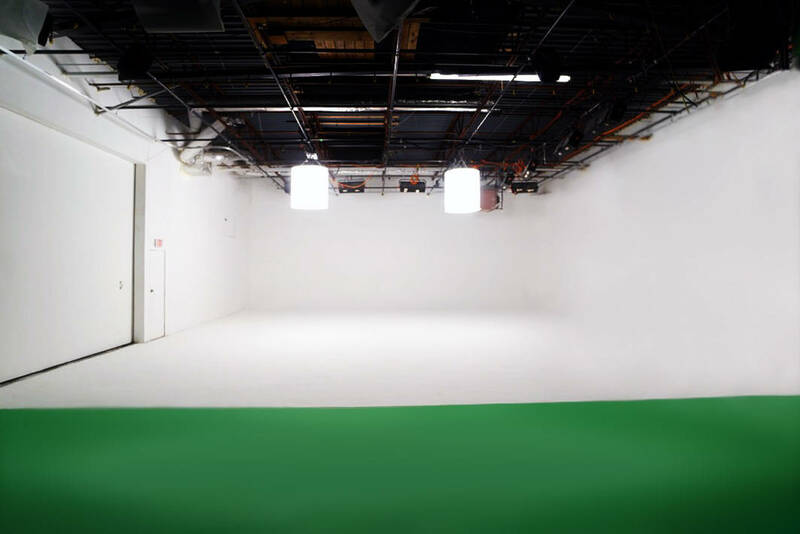 The great thing about our green screen cyc wall is unlike other studios, you do not have to pay to have it painted green, it stays that way. 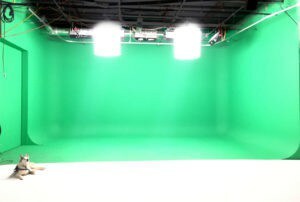 Photographers have the ease of a large hard cyc green screen, no need to worry about running out of green. 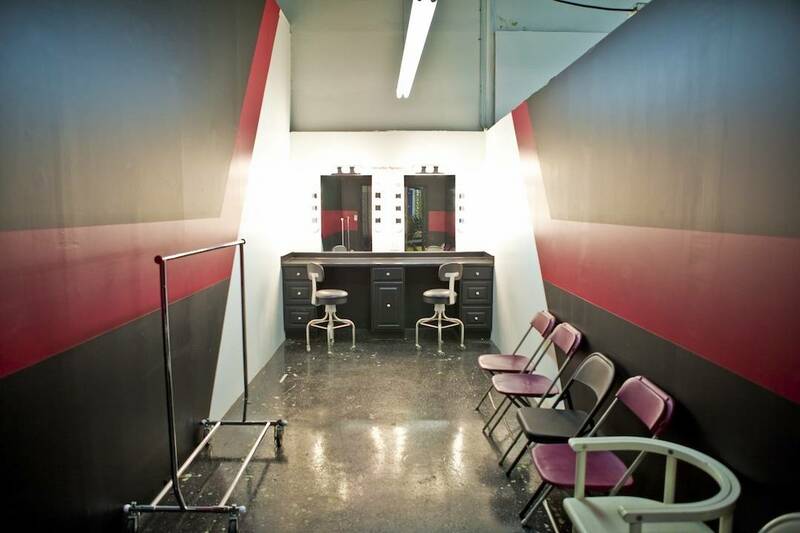 This studio also has an attached wardrobe/make-up room. Like Studio 2, with a Studio Green rental our clients have access to 2 lounges, a full kitchen, conference area, 2 6ft tables, 2 8ft tables, fans, extention cords, a clothing rolling rack and IPOD/CD/AMFM music playback free of charge. All studios have climate control.